Individual performances are memorable in Ashes cricket history and it’s often easy to forget just how important partnerships are in the game of cricket. 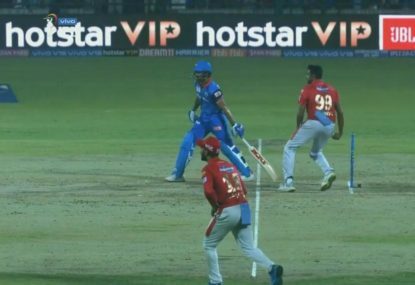 Batting in partnerships is a game within a game. It’s all about wearing down the opposition and making them feel like there is no way through at either end. There are so many great combinations for Australia in the 140 years of Ashes cricket but I’m going to focus on three. 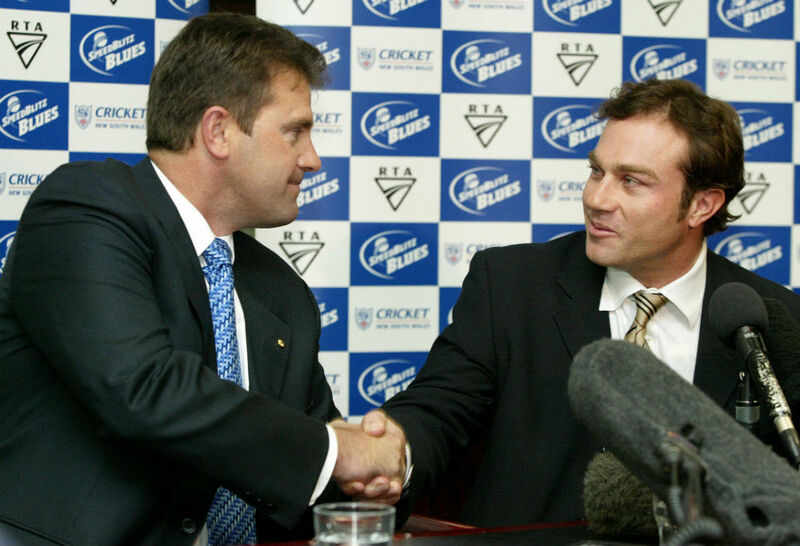 Three partnerships that you would have every faith in to get the runs on the board on the first day of an Ashes Test when the ball is moving around and the sledging is fierce. 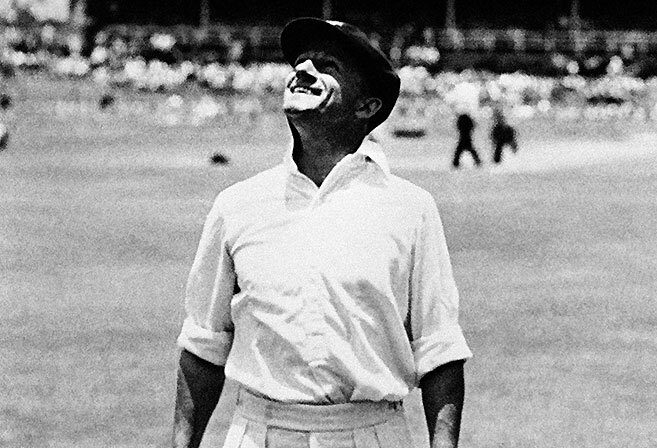 “Don Bradman. How cliche” I hear you say. 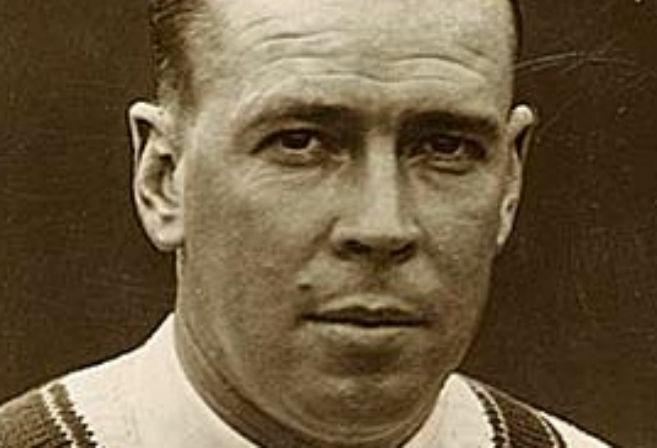 If New Zealand’s Chris Martin – the worst bunny of all time – was transported back to the 1930s to bat with the Don it would still probably be a great partnership. However, this particular partnership tortured England for fun. They only batted together six times but in those partnerships they amassed a staggering 1012 runs. 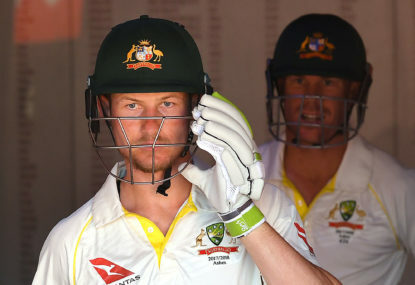 They are therefore, the greatest Australian statistical batting pair versus England by average per innings (for a minimum of five innings). It was in 1934 that the partnership went down in folklore for securing the Ashes. It started in the fourth Test with the series locked at 1-1. Everyone seemed to find the conditions brutally tough at Leeds. England was bundled out for 200 and the Aussies appeared to be in all sorts at 3 for 39 in reply. But Ponsford and Bradman combined for a magical 388-run partnership which was only ended when Bill was given out ‘hit wicket’ to Hedley Verity for 181. The match was drawn but it was a psychological victory to the Aussies. With the series heading to a decider it all came down to The Oval to decide who’d be holding that tiny urn. The pair almost batted for the rest of the day adding 451 runs. 451 runs of pure carnage in less than 100 overs! Needless to say Australia won the match and the Ashes and England needed psychological counselling for the trauma they had endured at the hands of Bill and Don. The pair grew up playing cricket together in Wagga Wagga and this early bond was one of the reasons they gelled on the biggest stage. Slater was the original David Warner. He had no hesitation in launching into a Phil DeFreitas or Darren Gough cover drive on the first ball of a Test. He was always willing to take a risk which resulted in a large number of dismissals in the 90s during his career. 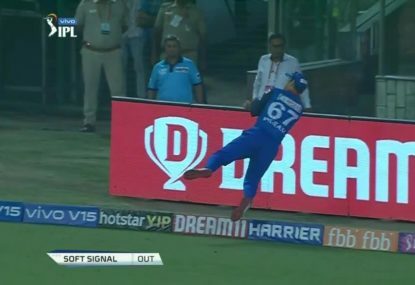 However, it was this risk which somehow complimented Taylor’s steady approach to see the shine off the ball. The right hand/left hand combination is always a frustration for opposition bowlers and Taylor and Slater were masters at rotating the strike. 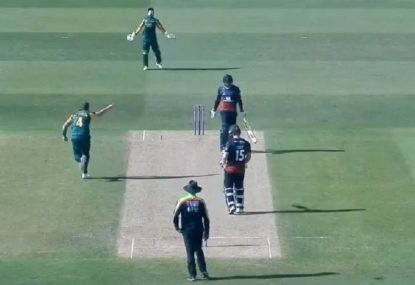 Devon Malcolm might tie down Taylor for four balls but then he’d drop and run. All of a sudden Malcolm’s line goes slightly off to Slater and his dispatched for a boundary to end the over. It’s not to say Taylor was always just an accumulator of runs. He was as strong as they came and never seemed to miss an opportunity to put away a bad ball, especially when it drifted onto his legs. The Slater/Taylor partnership worked because they were such completely different batsmen to bowl to. They batted together 30 times in Ashes cricket for 1735 runs including seven 50 or more run partnerships and five times they passed the century mark. It makes them Australia’s greatest batting partnership against the old foe for runs scored. In their debut Ashes as a batting pair in 1993, Taylor and Slater started with a bang thanks to a 128-run partnership and a 260-run effort. They backed it up in 1994/95 to show it was no fluke with partnerships of 99 and 109 in the first Test at the Gabba to put England on the back foot. The Wagga lads may not have been the best at running between the wickets but everything else they did worked a charm. They continued to have fun in that series with partnerships of 208 in Sydney and 128 in Adelaide. After Slater was dropped for the 1997 series, the pair was reunited in 1998 and while they didn’t score as prolifically, they finished their tenure as the greatest Australian partnership against England by runs scored. Nasser Hussain is no doubt still having nightmares after sending Australia in on Day 1 against Australia in 2002 for the first Test in Brisbane. If that decision wasn’t bad enough he lost his young fast bowler Simon Jones to injury inside the first hour when his knee ripped into the Gabba turf. 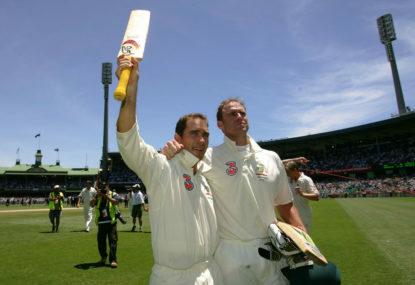 It was just the second time Hayden and Langer had batted together in an Ashes Test after their impressive debut at The Oval in 2001. Langer and Hayden scored 67 for the first wicket at the Gabba. Their partnership came off just 14 overs and it started a revolution in how Test cricket was played. 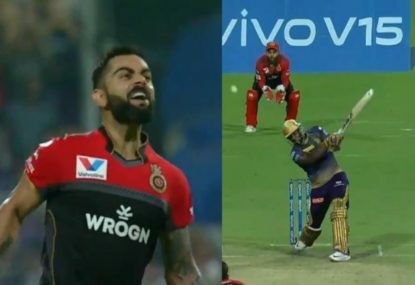 Instead of just seeing off the new ball, the pair was determined to crush the old enemy in the first hour of the innings. Their attacking mindset paid dividends again in Adelaide where they plundered 101 in just 18 overs. The worst part for England was that once they finally had a breakthrough, in stepped Ricky Ponting to inflict further misery. That’s the way the story played out for the next four years of Ashes cricket. If the two left-handers didn’t get on top of England, they knew that had the best batsman in the world at number three to continue the all out assault. Even when the pair ‘failed’ with a reasonably small partnership they rarely scored less than four runs an over and therefore set the tone for the innings. The Queensland and West Australian duo were the entertainers and were up for any challenge. 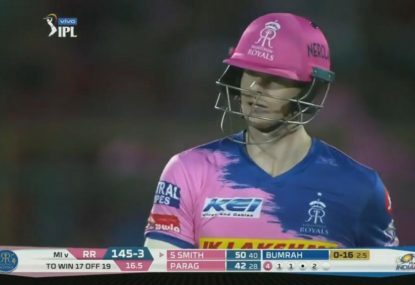 Whether it was Hayden batting two metres out of his crease to Andrew Flintoff or Langer simply laughing after being hit in the grill of his helmet from Steve Harmison. They both LOVED Test cricket and they loved each other. The embrace after each milestone was a familiar sight. Their bond was so strong that England must have been in awe at how the pair worked together to dismantle the best they could throw at them. If they were to write a book on the perfect batting partnership, Langer and Hayden would be the case study. You and your mates can celebrate XXXX GOLD’s partnership with Australian cricket by donning your very own XXXX GOLDIES cap this summer. The more times you catch up, the more chances to win a share in $350,000 in prizes. Full details here.